Justice Anthony Kennedy's departure from the court has sparked alarm among abortion rights activists that Roe v. Wade, the landmark Supreme Court ruling that legalized abortion nationwide in 1973, could be overturned. Kavanaugh has not expressed outright opposition to Roe v. Wade — but he is sure to face questions from Democrats over how he might rule on abortion rights if confirmed. He did rule in a case involving an undocumented immigrant teen in detention who sought an an abortion. The DC Circuit last October ruled the teen was entitled to seek an abortion, and Kavanaugh dissented. In his dissent, Kavanaugh wrote the Supreme Court has held that "the government has permissible interests in favoring fetal life, protecting the best interests of a minor, and refraining from facilitating abortion." He wrote that the high court has "held that the government may further those interests so long as it does not impose an undue burden on a woman seeking an abortion." He said the majority opinion was "based on a constitutional principle as novel as it is wrong: a new right for unlawful immigrant minors in U.S. government detention to obtain immediate abortion on demand." He added, however, that "all parties to this case recognize Roe v. Wade and Planned Parenthood v. Casey as precedents we must follow." 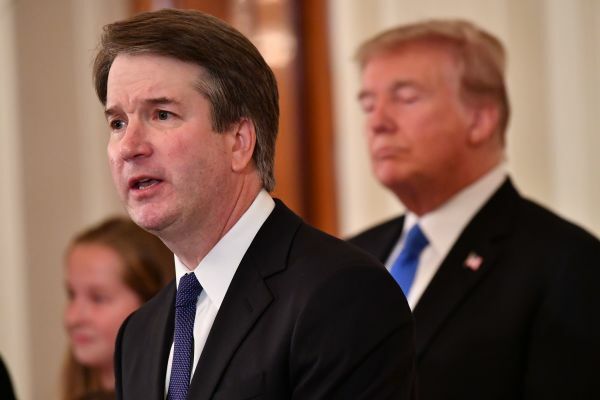 Sen. Susan Collins, a Republican from Maine who is considered a key swing vote, said she will "conduct a careful, thorough vetting" for Trump's new Supreme Court nominee, Brett Kavanaugh. She said Kavanaugh has "impressive credentials and extensive experience" and added she looks forward to questioning him in a meeting. 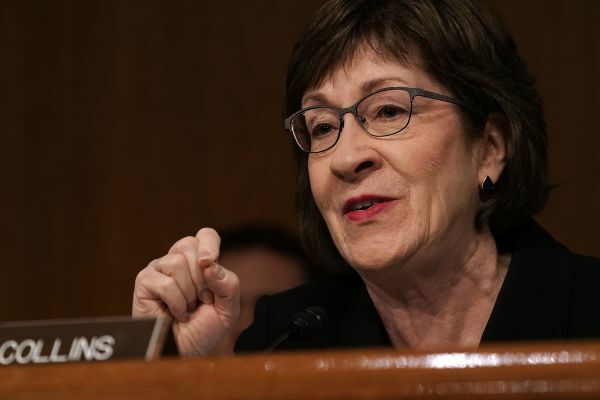 Why Collins matter: She said would not support a nominee hostile to the landmark abortion ruling in Roe v. Wade. As such, Democrats view Collins her as a target to peel off from the Republican majority. Republicans can't afford to lose a single member if — and this is a big if — Democrats are unified in their opposition to Trump's pick.